Well, I’m back from what was probably the trip of a lifetime. Before going I was excited but also nervous, having never been to India before, or even a ‘non Western’ country before either. India was many things, crazy, hot, interesting, funny and fun , beautiful, varied, dusty and just plain full on. And of course the food was great. Unlike most of my holidays this was not totally centered around the food – I didn’t have any places jotted down in a notebook that I had researched online – I left it up to my parents and whatever and wherever we happened upon on the day. It was quite nice to go with the flow. 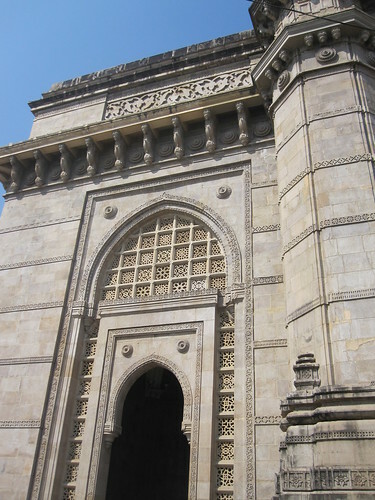 We spent 3 days in the crowded city of Mumbai – visiting the sights, taking tea at the famous Taj Mahal Hotel, shopping in the super sleek malls and also the higgeldy piggeldy street markets. The pollution and the crowds were hard to handle and crossing the road is plain terrifying. 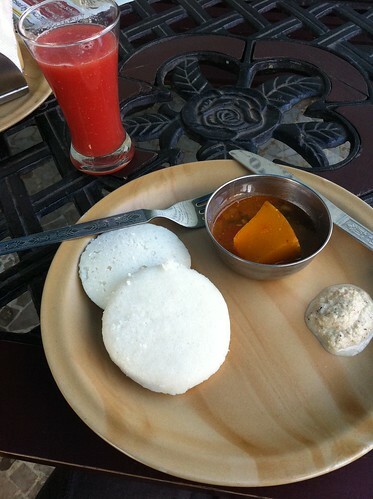 Our hotel did brilliant breakfasts – things like Idli Sambar (above) and Batata Vada for breakfast along with big bowls of juicy papaya and super fresh watermelon juice to wash it all down. We ate mostly in the hotel restaurant – paneer in buttery spicy sauces, tandoori naan breads – crispy and soft all at once, black dahl and vegetable koftas. After that we left for Navsari in Gujarat, which is where my extended family live. There was plenty of visiting family but we also did a lot of shopping in the many sari shops and jewellery shops. Here we ate with our family – lots of vegetarian food – plenty of dahl bhatt, kadhi and vegetable rice and ‘curry’ made with the freshest vegetables. Everyone in the smaller towns shop one meal at at time in the local market, getting their vegetables in the afternoon and cooking them a few hours later in the evening. As much as I appreciate the convenience of a supermarket for people like me who work all day, it is nice to see people eating food that is fresh and local. 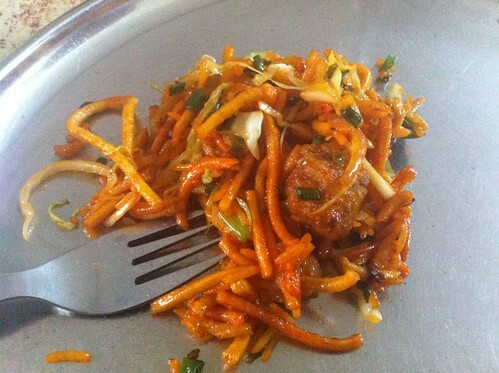 We were also introduced to the concept of Chinese Bhel Puri (crispy fried noodles, little spring onion and soy koftas with crunchy vegetables) and Manchurian Paneer at a local hotel restaurant – Chinese food is really popular in India and something I want to recreate soon. Breakfast was always a masala chai, sometimes with some toast and sometimes with some fruit, normally a ‘chiku‘ which is a soft sort of fibrous sweet fruit- very hard to describe how it tastes. I didn’t like most of the fruit in India, the textures are so different compared to what we are used to over here – but I did like the little chikus we bought. 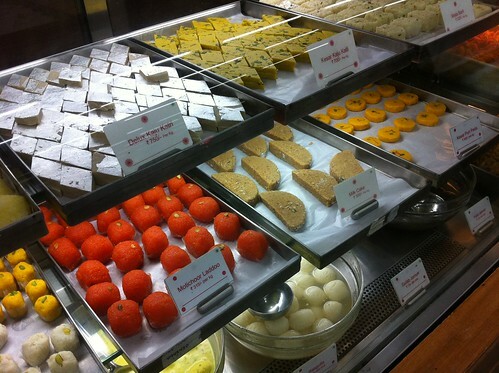 Kulfi is a big thing in India, ice cream basically, and there are lots of flavours in the ice cream shops in you find in India. We stopped in once place in Navsari – the flavours above are pistachio mango and at the back Paan Masala – which is the flavour of the tobacco filled leaves that people chew after a meal. 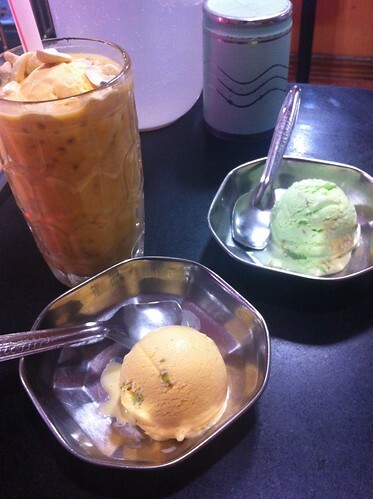 At the back is the famous milky drink, Faluda – made with mango. After 5 days in the small town of Navsari we left to travel the rest of Gujarat and the north of India. We visited Virpur, Somnath and then down to the beach at Diu. This took a couple of days just in one state, India is such a huge country, it is mind boggling. 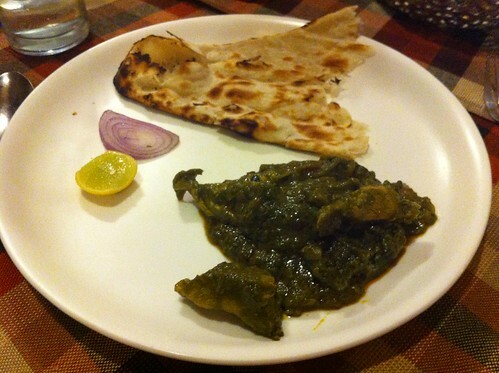 Diu was a nice relaxed beach resort, I remember we had a great spinach chicken dish in the hotel restaurant. After this we left to go further north into Rajasthan – we stopped a night at Udaipur in a beautiful hotel made mainly out of marble. Then onto Jaipur – the pink city – which was my favourite city of the visit. 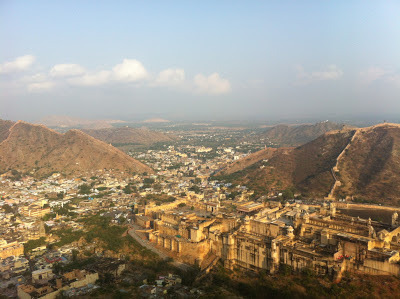 We visited the Amber Fort up in the hills – built for Raja Man Singh in the 1600s – it is high up in the mountains above Jaipur (the view from the top is the photo above). The views are amazing and the place itself is awesome, I can’t think about how they built such an impressive place in that time period in that location. The pink part of the city is beautiful, the vegetable dye is so vibrant and they still use the same methods to this day to preserve the pink city. Jaipur is famous for its textiles, we visited several textile shops and I bought a lovely quilt to take home with me. Food highlights were less impressive than the rest of the holiday- we ate in KFC eating curry crunch chicken! 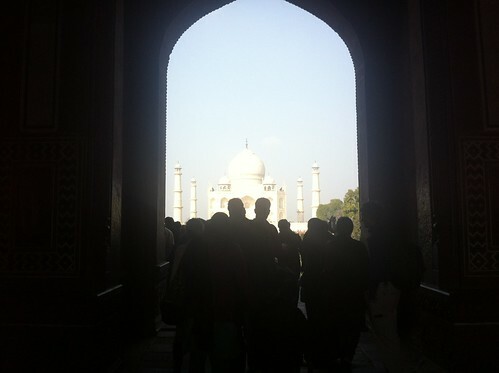 Next we went onto Agra to visit the Taj Mahal. All the things that can be said have been said about the Taj Mahal – it is truly a beautiful building and so well preserved, our guide told us the story behind it and I’ve heard it many times but it is still a great story. Oh and the bit about the King cutting off the hands of the builders is a myth, he didn’t do that. After Agra we headed to Delhi for a whistlestop tour of the city. We visited the recently built Akshardan Mandir – a Swaminaryan temple made from marble, completed in 2005. Then we drove around the city and saw India Gate, the parliament buildings. We visited the house Gandhi stayed in and where he was assasinated, along with Rajghat park which is where the memorials for Mahatma Gandi, Indira Gandhi and Rajhiv Gandi are. After Delhi we started on the long journey back to Navsari, stopping in Jaipur over night. This is when you really realise how big the country is, it takes about 6 hours to get from Delhi to Jaipur and then another 15 hours from Jaipur to Navsari again. Crazy. We were tired. 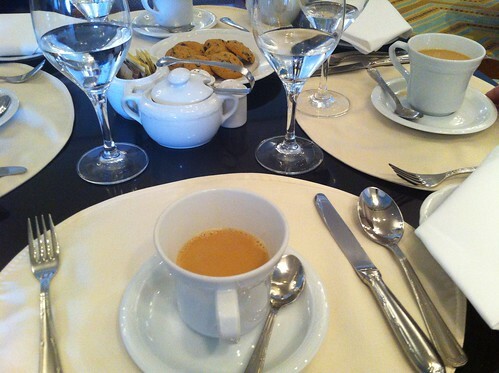 Our last few days were spent in Navsari staying in a swanky hotel which did excellent breakfasts. 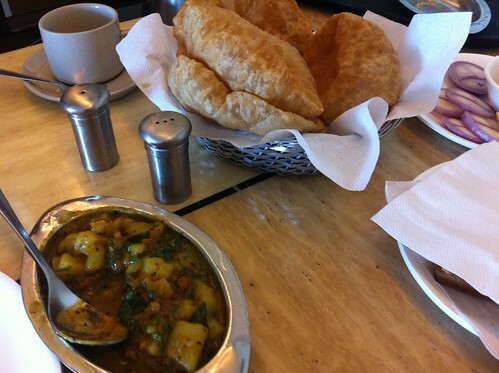 My favourite was the Poori Bhaji which is potato curry with big crispy pooris. I had this on the day that the cold I’d caught (I know) was at its worse and it totally fed my cold like a boss. This is on my ‘to cook’ list too. Parathas also featured at breakfast time, and also good old toast for when we needed something plain to break up all the spice. We had more family meals too. Overall the trip was great, it was tiring and I felt a long way from home at times but it was also a brilliant experience. I want to recreate so many of the meals we ate over there – I’ve already made Dum Aloo and Pav Bhaji which I’ll be posting on here soon, along with making the effort to make rotlis more often than I normally do too. 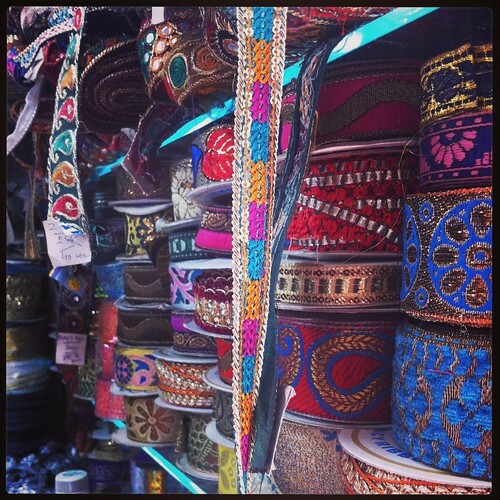 The colours, saris, silks and designs in India are giving me lots of jewellery inspiration too. I’ve got lots more pictures on my Flickr stream, not just food ones too! Wow Deepa this all sounds lovely, you have described it in wonderful detail! Thanks so much for sharing! Well described! The dishes are looking delicious.. Thanks for the post.. Keep posting..
Wow Deepa, this truly looks like the trip of a lifetime. Hoping to be able to do the same some time soon.